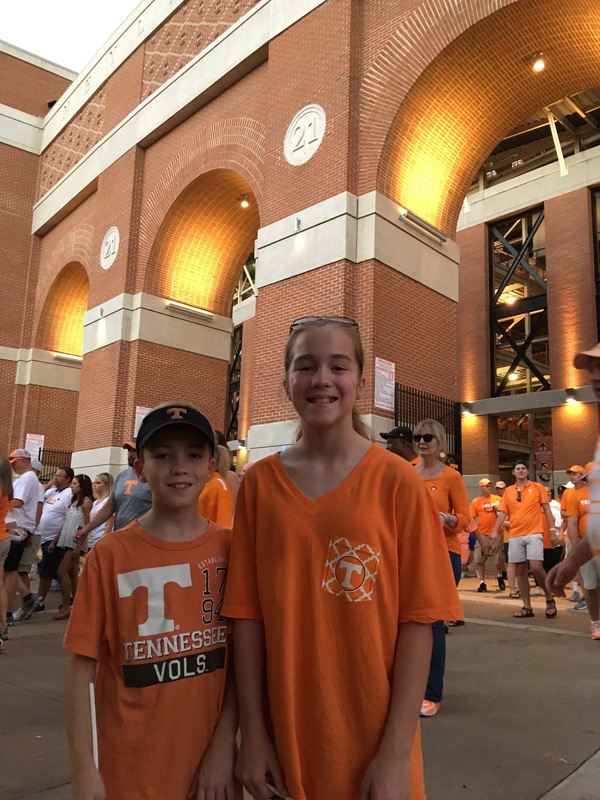 I had the priveledge of taking Abby Kate and Jackson to the Tennessee/Florida game today. 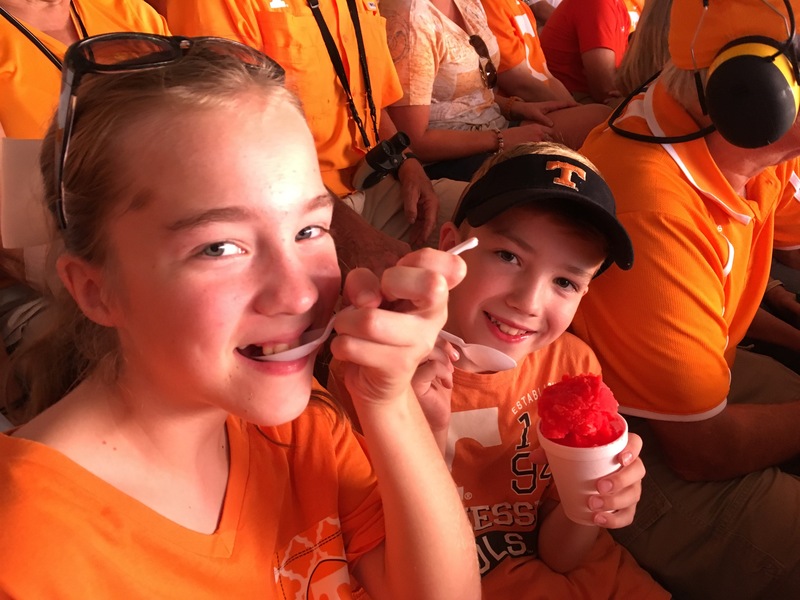 We woke up early and were ready to head out of town after a quick stop to fill up on gas, grab some biscuits from Hardee’s, and a stop at the ATM. Unfortunately, my card got stuck in the ATM machine and the whole system froze. I tried calling our banking company, but no one was able to answer. A police officer came out and spoke with me about my card. He was so nice and took time out of his morning to offer his assistance. I finally got in touch with a lady at our banking company and she walked me through all the necessary steps to cancel my card, order me a new card, and reassure me that I could leave – that no one would have access to my card. Because the ATM was frozen, the system had crashed and my card would not come back out of the machine. Thankfully, we were still in town and Jason and Joshua had not left yet for Joshua’s ball tournament. Joshua had some cash at the house and let me borrow a bit. It was really hard to drive away without my card. We made it in to Knoxville on time and headed to the student center. We were able to grab lunch and visit the team store before heading to our seats. For some reason, it took a really long time getting in the gate, but we finally made it to our seats. 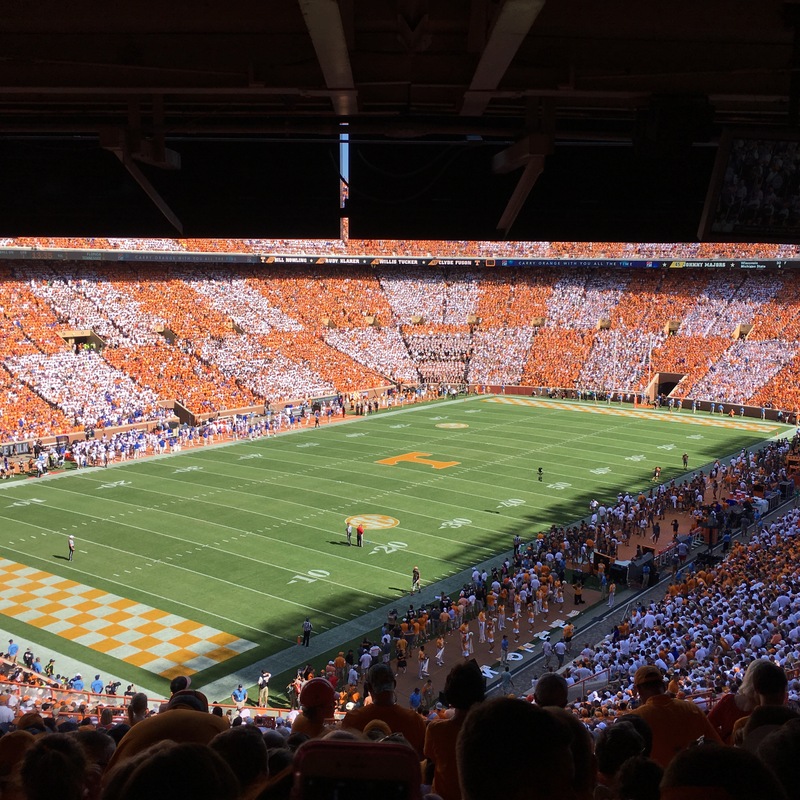 It was really neat seeing the stadium in the checkerboard pattern. It was so incredibly hot outside, that I was very thankful for our shade from the sun. 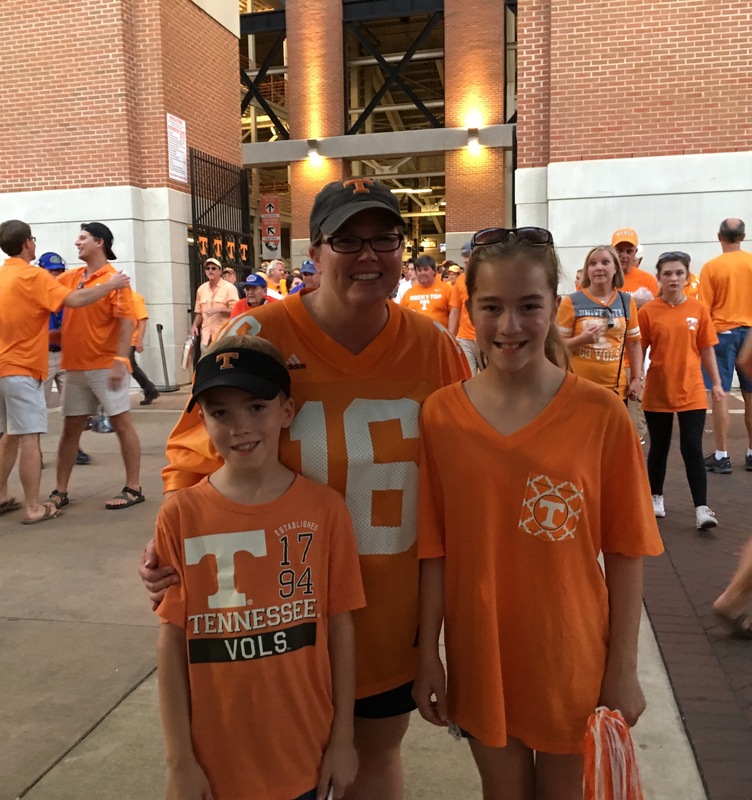 The energy in Neyland was crazy! This game was the loudest game I have ever been too. 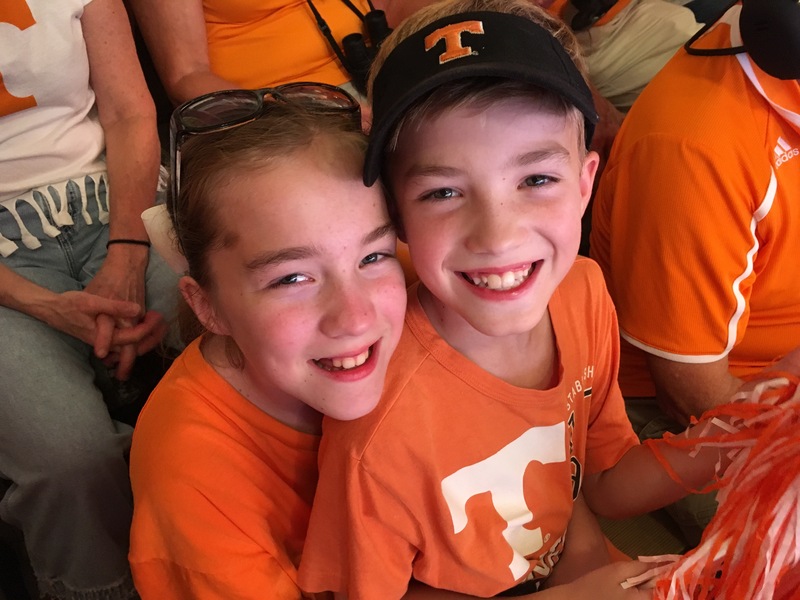 We all had so much fun and we are so happy that we pulled out a win from the Gators!